My name is Yossi, and I was born in 1966 in the beautiful city of Nahariya, in Israel. The second oldest of four brothers, I live there today with my wonderful wife Ketti, and our delightful triplets, Tom, May and Eden. Our family history is deeply intertwined with Israel’s – my grandparents fled their native Germany just before World War II broke out, in a bid to escape the Nazis. They were among the founding fathers of our nation, with my grandfather using his knowledge of construction to help build the country. 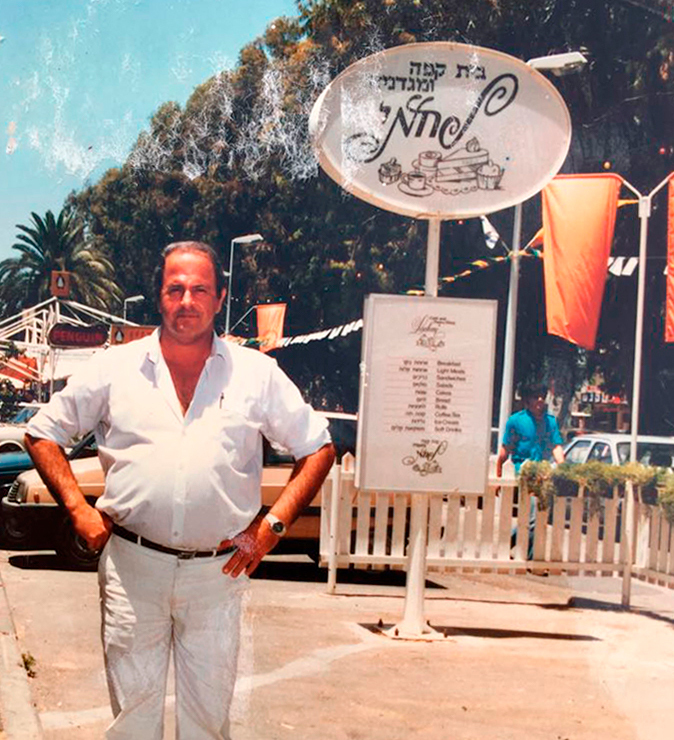 He used expertise to bring to life his dream of a hotel in Nahariya. My father also followed in his footsteps, studying construction engineering in Germany, and then returning to Israel to work as a contractor. My father loved his craft, but when I was 12 years old he decided to follow his passion and opened a small bakery on the same site as my grandfather’s hotel. My father and his partner Miriam Wertheimer worked incredibly hard to make it a success, and baking was a huge part of my life as I grew up. So after my service in the IDF, I studied the art myself. 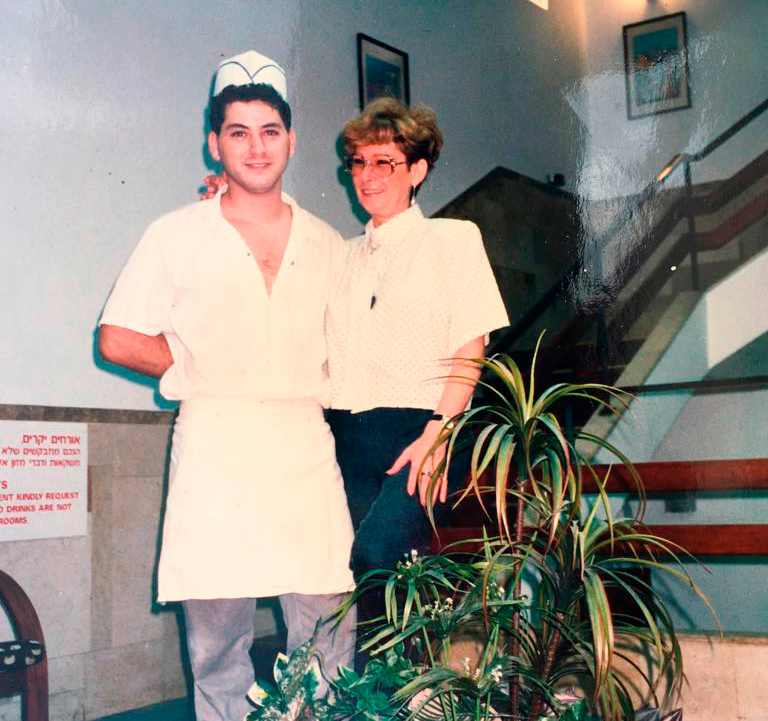 After completing my studies, I returned to Nahariya to manage the bakery with my father. It was 1988 when I joined; then my brother Uri started working with us seven years later, and my two other brothers followed suit. For nearly three decades I was involved in baking. I created hundreds of unique recipes, and through our products, was able to touch thousands of people around the world. Baking is a science, which requires professionalism, precision, determination, flexibility, cooperation, patience and lots and lots of love. 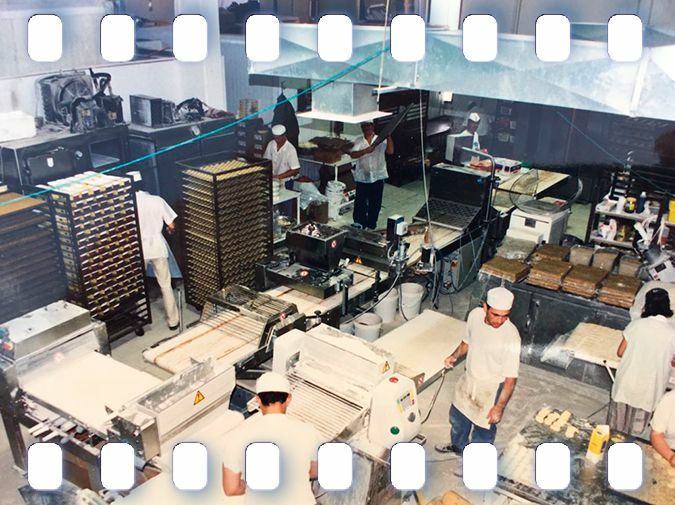 Together, our family turned that little bakery into an international business with around 100 employees. It went from a small shop to a global operation, called Elsa’s Story, which exported to some most high-end retail chains in the world. We had our goods in 22 countries around the globe, including the United States, Canada, Russia, Australia and Japan, and the company is still going strong today. Our business had a long-term partnership with billionaire Stef Wertheimer. Also an investor and philanthropist, he coached me personally on how to run the company and make it successful. Working with him enabled me to see the benefits of this kind of support. I had first started looking at how coaching could improve my personal and professional life in 2006. I went to a seminar, signed up, and then paid the tuition. But I was gripped by the fear of failure, and cancelled my registration two days later. 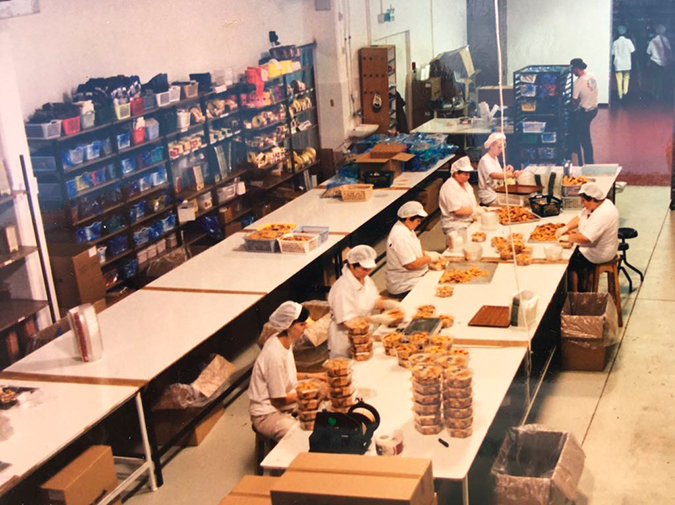 In 2011, we sold our baking business to Wisostzky – the largest tea company in Israel. But just a year later, despite successfully selling the company, I was at rock bottom. I was gripped by fear and crippled by the worry of being able to support my family. After we sold the company, I was forced to sell my brand for the first time, as well as obtain and maintain customers. This was a difficult time; I didn’t earn money and I didn’t know how to change this reality. I was pretending everything was fine, while trying to hide the levels of stress, and frustration I was going through. As a child, my mother had told me that I had good hands. And I interpreted that to mean if I had good hands I probably wouldn’t be good in other areas, like learning. My life was a mess, and every idea that came into my head, I dismissed, because I was terrified I would fail at it. In the depths of my despair, I thought about coaching school. I have always loved people and working with them; it is my passion. I made a decision to overcome my fear of failing and see if I could learn how to coach. I started working with Dafna, who in just two months turned me from a failed adviser into a successful mentor. I overcame the thoughts of failure and not being able to learn, which had affected me throughout the entire course of my life. The main thing I can say about my process is that I created clarity for myself about who I am and what my abilities are. I managed to get through the whole conversation of my negative beliefs. Today, I do what I love and love what I do. I am a passionate coach who works with people and loves doing so. I also have a wonderful relationship with my wife and my children. And I spend more time with friends than I ever having done, rekindling relationships with people, which I had neglected for many years. The companies and individuals I have worked with in the last six years say I am an exceptional listener, with the ability and know how to motivate them. Working with me enables them to create a life based on quality of living and improved results. They solve the complexities of running a family business and moving it forward with teamwork, empowerment, and creating harmony with their loved ones. I do this with my unique “Baking The Different System” which is the result of over 1000 hours of research looking at this unique dynamic in a company. One of the most complex challenges I faced during my entire career in our business was working with 30-40 percent annual growth rates, while dealing with family members; I can now advise others based on my experience and expertise. Now I help businesses navigate their unique personal situation by using the power of family to their advantage. Then they can accelerate their business growth, as well as maintain a great connection. My background in baking has enabled me to see the same expertise is needed for creating in the kitchen as are necessary in building a harmonious family business. As a baker and manager for more than three decades, I had to identify the ingredients needed to create the perfect pastry. I had to look at the conditions required and the right ratio to achieve the desired goal. I would make sure all the components were in the right order; nothing was missing, and double-checked the temperature and ratio given to each ingredient for every step of the process. The heat and love dough gets at each stage of production is what makes the product perfect. In the same way, to create a beautifully balanced family business, the perfect ratio of each person’s contribution needs to be achieved for success. The people involved have to be synchronized with each other and know what their role is within the whole process. Every loved one knows, without them the, “pastry” will not succeed. And if one person fails to do their part, the whole recipe for success will not enable them to rise to the top of their chosen profession. When it comes to a family business, “You are the main players. Win or lose – it’s on you.” Each winning team has a team of coaches and champions. I can be on your team.